It's 20APETEEN FOLKS! 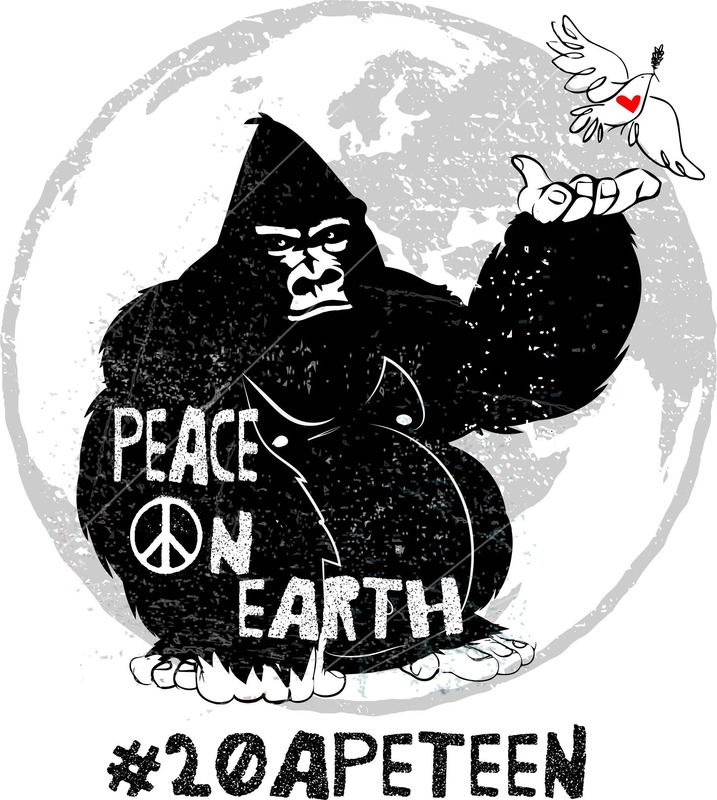 Time to ring in the new year by supporting our Great apes and sharing the message of Peace on Earth. 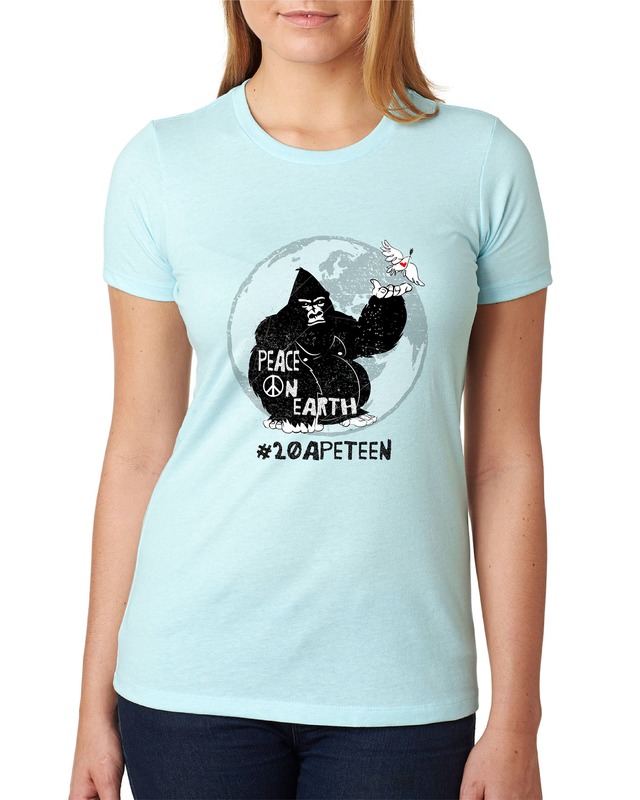 100% OF PROCEEDS GO TOWARDS GIANT OTTER RESEARCH IN GUYANA, SOUTH AMERICA. For more information on this project, please visit SavetheGiants.blog and follow us on Facebook!